Ribbons genuinos, compatibles con las impresoras Epson. 3 ERC-38BR Black/Red Ribbon for TM-U200, TM-U300, and TM-U375, Package of 10 . 4 ERC-32B Black Ribbon for H-6000 and U-675 Printers, Package of 10 . 5 ERC-38B Black Ribbon for TM-U200, TM-U300, and TM-U375, Package of 10 . 6 ERC-41B Black Ribbon for the H6000 Printer with Endorsement, Package of 10 . 8 ERC-05B Black Ribbon, special printer models only, see manufacturer for details, Single Ribbon . 9 ERC-31B Black Ribbon for TM-U925, TM-U950, and TM-U590, Package of 10 . 11 ERC-09B Black Ribbon for model 160-180, Package of 10 . 13 ERC-22B Black Ribbon for M-160/180/190, Package of 10 . 16 ERC-27B Black Ribbon for TM-U295, Package of 10 . 18 ERC-23BR Black/Red Ribbon for the M265, RP265 and TM267, Package of 10 . 21 ERC-15B Black Ribbon for the M-170, Single Ribbon . 22 ERC-23B Black Ribbon for the M200, Package of 10 . 26 ERC-38P This part is replaced by ERC-38B. Purple Ribbon for TM-U200, TM-U300 Series and TM-U375 Printers, Single Ribbon. Epson recommends Black ribbon to replace this product. 27 ERC-27P This part is replaced by ERC-27B. Purple Ribbon for TM-U295, Single Ribbon. Epson recommends Black ribbon to replace this product. 28 ERC-31P This part is replaced by ERC-32B. Purple Ribbon for TM-U925, TM-U950, and TM-U590, Package of 10. Epson recommends Black ribbon to replace this product. 29 ERC-23P This part is replaced by ERC-23B. Purple Ribbon for M-265, RP-265, TM-267, TM-270 Printers, Package of 10. Epson recommends Black ribbon to replace this product. 30 ERC-41P This part is replaced by ERC-41B. 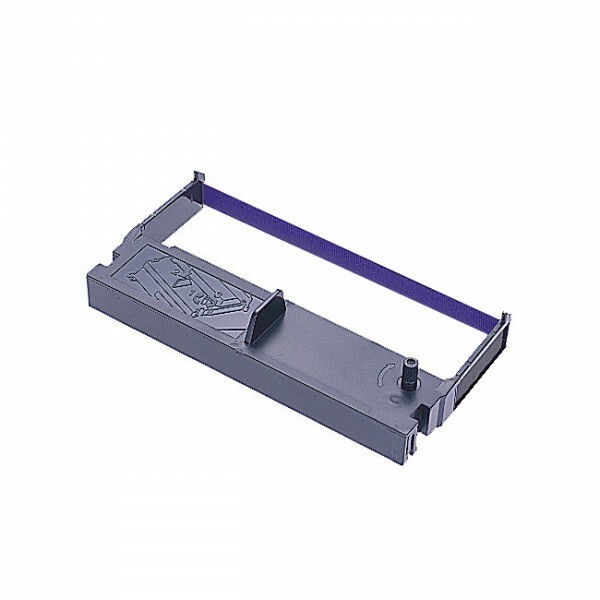 Purple Ribbon, for the H-6000 Printer, Package of 10. Epson recommends Black ribbon to replace this product. 31 ERC-32P This part is replaced by ERC-32B. Purple Ribbon for H6000II Slip and TM-U675, Single Ribbon. Epson recommends Black ribbon to replace this product. 33 ERC-11B Black Ribbon for mechanisms 515/525/545, Single Ribbon . 34 ERC-22BSINGLE Black Ribbon for the M-160/180/190, Single Ribbon .